This year’s Artic Book Blast invited SBS families to warm up with a good book. Each year, the SBS Book Fair brings in hundreds of donations for the library to grow and stay up-to-date with the latest reads for our students. Not only does it provide new books, but the week itself reignites a passion for reading and learning in the community. This year’s visiting authors were Debbie Leland and Sharon Draper. Students had the opportunity to engage with these award-winning authors and have their books signed. In addition to purchasing books, 91 students signed up and participated in the second annual after school Explorer Fair. Workshops ranged from robotics to the science behind making ice cream. Check out @sbs_visualarts on Instagram for a daily update on what SBS artists are creating! 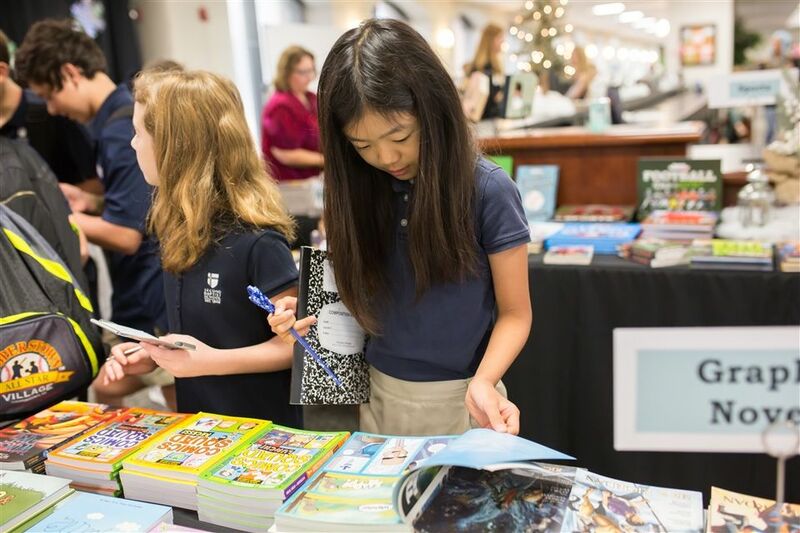 Click here to view photos from this year's Arctic Book Blast Book Fair. Click here to view photos from this year's 2018 Fall Art Show.